Search Engine Optimization was once a largely misunderstood concept; often considered esoteric for digital marketers. 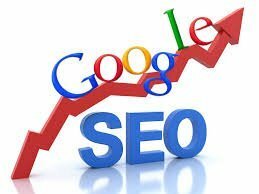 However, since the dawn of 2018, it has become more mainstream than ever, with even the top level management of businesses understanding the need to incorporate good SEO practices for their company’s online presence. It is now thought of something that’s more than just about stuffing keywords into meaningless content. Marketing officials know now, that it is something that needs to be integrated seamlessly throughout the content strategy of the company and also in web design. It is no longer enough to merely play according to the loopholes of search engine algorithms. It should be seen as more of a set of good business practices rather than a marketing tactic, because, let’s face it, search engines are more intelligent than they used to be, and the only way to getting around those brains is to follow the rules from a business perspective. That’s a good thing though because SEO was ultimately intended to bring about valuable content online and healthy competition among businesses. 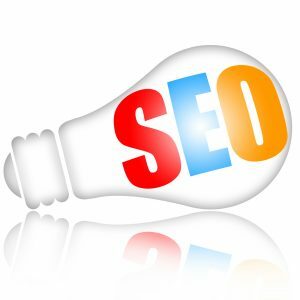 With the help of the right SEO practices, you can very well outshine your counterparts and win over genuine loyal customers, all through organic traffic. As “too good to be true” as that sounds, it is quite within your reach. That said, SEO is also one of the most dynamic aspects of content marketing. Search engine algorithms are fast changing; in fact, they’re probably changing as you’re reading this. For the same reason, it is important to always keep abreast of developments in the digital marketing industry. 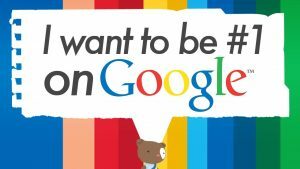 Here are 50 mind-blowing Search Engine Optimization statistics that you can make use of for the competitive advantage. 1. The average share of traffic generated by the websites listed on the first page of Google search results is 91.5%. 2. The website on the no. 1 position of Google search results gets about 33% of the search traffic. The second place gets 18% and the figure gets much smaller from there. 3. Around 51% of all organic traffic is generated from organic searches. At the same time, 10% is generated from paid searches, 5% from social media and 34% from other sources. 4. More than 40% of all the revenue generated by a business comes as a part of organic traffic. 6. 88% of consumers who search about local businesses or stores would either call or visit the store within 24 hours. 8. 46% of all Google searches conducted are also local, and around 60% of these searches are done on a smartphone. 9. “Near me” searches on Google have increased by around 2 times over the past year. 10. 30% of searches on mobile phones have been related to location. 11. 2 % of all web traffic mostly originates from smartphones. 12. The average mobile user spends about 4 hours a day on their smartphones. 13. 71% of consumers search online to confirm the location before visiting a new store. 14. 88% of local clients trust and rely on reviews when considering a purchase. 15. 65% of consumers use their smartphones during their buying moments. 16. 2 in 3 smartphone users have a higher inclination towards purchasing from companies with mobile apps or websites that offer customized location-based information. 17. More than 70% of consumers like to see directions and call buttons in their ads. 19. 7 out of 10 consumers are likely to make a purchase or visit a store based on the information they received online about the same. 20. 92% of consumers mostly pick websites from the first page of Google search results. 21. As per the latest updated Google searches account for almost 73% of all desktop search traffic on a global level. This is followed by Baidu at 13.47%, Bing at 7.64% and Yahoo at 4.74%. 23. On average, the results on the first page of Google contain about 1890 words. 24. Long-form content that is above 1000 words has been found to receive larger numbers of shares and clicks than shorter forms of content. 25. Around 20% to 25% of organic traffic generated from search converts to a lead. 26. 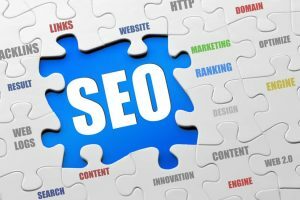 82% of business officials and marketing experts find SEO effectiveness to be increasing, out of which 42% find it to be increasing quite significantly. 27. Around 61% of marketers consider improving their SEO rankings and increasing organic traffic as their top priorities in marketing. 28. Businesses were estimated to spend around $72.02 billion on SEO services this year. This amount is expected to rise up to around $79.27 by the year 2020. 30. Around 61% of marketing officials consider it important to be ranking high on search engines. 31. Improvements made in shared content to increase its value have been able to increase blog traffic by 2000%. 32. Business companies that have a blog as part of their online presence are found to have 434% more indexed pages than the ones that don’t. 34. Updating older blog posts with new content and re-publishing them has been found to increase organic traffic by around 111%. 35. 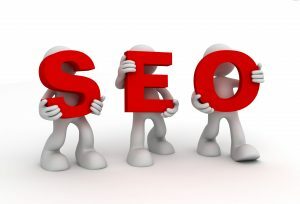 Links are one of the top factors influencing Google rankings. Social media shares do not count as links. 36. Around 1 billion people use Google search on a monthly basis. 38. Around 66% of search results on Google resulted in one or more clicks on the result websites. At the same time, around 34% of searches receive no clicks at all. 42. 4% of clicks on search results account for paid ads. 43. 8% of Google search results go to YouTube. 44. 25% of the entire search volume on Google is beyond the top 100 million keywords. 45. Google is currently aware of more than 130 trillion web pages. 46. An average Google search session has a duration of 1 minute or less than one minute. 48. Voice searches are 3 times more likely to be local searches than regular text-based searches. 49. 41% of established businesses consider link building to be the most difficult SEO tactic. A lot of these figures can have a powerful impact on your business if you make proper use of them. Plan your next marketing strategy keeping these stats in mind. https://topratingseo.com/ – Nationally Acclaimed Digital Marketing Agency – contact us here.